The original wheel was different to a roulette wheel you’d see today. In the fact, there were no zero slots. The zeros were introduced when the game made the move into the casinos in order to give the casino a house edge at the same time lowering players’ odds of winning. Casino owners in the US decided to introduce a second zero, commonly known as double zero, to increase revenue for the house which gave the birth to double zero roulette or American roulette as it is also referred by many roulette players around the world. 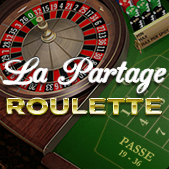 Below, you will find all the information necessary to understand double 0 roulette. The zeros are numbered 0 and 00 so you’ll be able to differentiate between the two. Both zeros are colored green, and the other numbers will alternate between being black and red. It might seem that the numbering on the double 0 roulette wheel is somewhat random; however, the distribution is arranged so that the sum of a group of numbers on one part of the wheel will be similar to another area of the wheel of the same size. The double zero roulette wheel layout is almost the same as in other roulette game variations. The main difference is the presence of additional slot with double zero in the wheel’s layout itself. On the other hand, you will find that both European and French roulette have just single zero so there is no difference in the wheel layout between these two roulette game variations. Double Zero Roulette – Where Can I Play? In the US, where roulette with double zero is very popular and most casinos from Las Vegas to Atlantic City offer a great range of roulette with double zero tables to play for real money. The house edge on these games make these wheels very popular with casino owners thus to attract players often a lower stakes games will be offered on double zero wheels. In case you want to play roulette online, today you will be able to find a large number of online casinos that feature both American and European wheels. The number of legitimate and safe online casinos has grown in the past years and for players who don’t live close to an actual brick and mortar casino, this is the best option to play roulette for real money. They have easy deposits, generous promotions and a great selection of double zero roulette games to play for real money online. You can enjoy playing double 0 roulette wheels on mobile either on your iPhone or Android smartphone. Betfair is a household name thou is better known for sports betting. 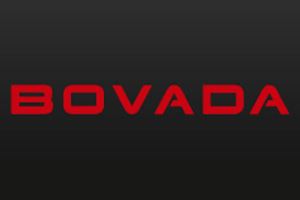 Their casino is huge, offering a large variety of double 0 roulette games from a range of trusted software developers. 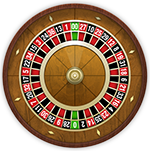 You also will have a choice of best roulette games for Android or iPhone smartphones. 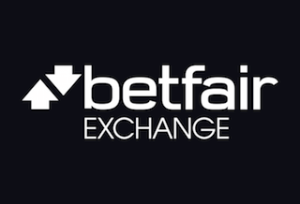 Check out our Betfair review. Tip: You should read our article on the best and most trusted online casinos to play roulette. You’ll find a large number of betting options when playing double zero roulette. When playing roulette, you might notice that that betting area is divided into two sections, with the individual numbers on the ‘inside’ and the groups of numbers on the ‘outside’. Your double 0 roulette strategy will depend on the type of bet you will choose to place on the roulette table. Tip: We recommend taking a look at our detail article on “Types of roulette bets“. This is particularly the case when playing in Atlantic City and on select tables in Las Vegas. This rule comes into effect when the ball lands in either of the zero slots and leads to players receiving half of their stake back. This changes the house edge from 5.26% down to 2.63% which actually gives the house a lower edge than the European game. This is the one instance where we would recommend double zero roulette over single zero. Important: If given the options, always play European roulette (single zero roulette) unless you can take the advantage of the ‘la partage’ rule while playing American roulette. The casino has a 5.26% edge when playing roulette with double zero. This doesn’t fare favorably in comparison to other versions of the game, European roulette as an example having an edge of just 2.70% in the casino’s favor. Therefore, we would recommend playing roulette at a European wheel or French wheel if given the choice of among the games. Updated on September 27, 2017 by Best Roulette Team.